Whether you are embarking on the new role or experienced role in your Business analyst career, getting yourself ready with the different business analyst interview questions is essential. Because an interview is an art to represent yourself as a suitable candidate with proper justification of your knowledge to a company. Sounds weird? Not at all! In a highly completive market, multiple candidates are eyeing to a single position that you are applying for. And answering business analysts interview questions within a limited timeframe is the only way to prove your expertise and impress your employer. Project managers are adopting business analysis skills to enhance their careers. Bring your career one level up with the Business Analysis certifications. Hence, give yourself enough time to prepare for business analyst interview questions that you may face. The level and complexity of business analyst interview questions vary depending on the position you are applying for and also on the company-specific job role. So, it is good to concentrate on the specific area like senior business analyst interview questions, agile business analyst interview questions, junior business analyst interview questions, entry level business analyst interview questions along with the generic business analyst interview questions and answers. 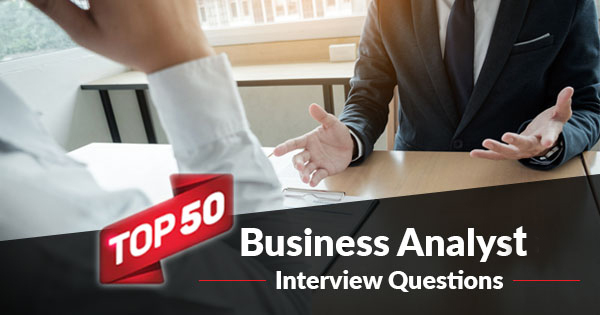 In this blog, we have brought some of the best business analyst interview questions and answers that you may find useful for your next business analyst interview preparation. Top business analyst interview questions fall under the generic category and could be asked as a part of business analyst interview questions for any career levels. 1. Who is Business Analyst? Answer: A business analyst works as a bridge between different stakeholders in an organization. He connects with the different stakeholders of an organization to clarify and finalize the requirements, helps the project team in project planning, designing and finally validating the developed components. He is the person who possesses adequate domain knowledge and can sort the business needs amongst the stakeholders who belong to different domains. 2. Name some of the documents that a business analyst use to handle? 3. What is SRS and what are its key elements? Answer: A System Requirements Specification (SRS) or a Software Requirements Specification is a document or set of documents that describe the features of a system or software application. It includes a variety of elements which define the intended functionality required by the stakeholders and customer to satisfy the end users. 4. What is a requirement? Answer: A requirement is a targeted solution to achieve specific business goals or objectives. It is an input to various stages of SDLC. This is a basis of a project which must be validated by the stakeholders and business users before implementation. Besides that, every requirement needs to be properly documented for future reference purpose. 5. What is Use case? Answer: A use case is a diagrammatic representation of a system which describes how a user uses a system to accomplish a goal. It is an integral part of software engineering and software modelling technique which defines the targeted features and the resolution of any possible errors which a user may encounter. 6. What are the steps that you need to follow to design a use case? 7. What is Scope creep and how can you avoid scope creep? 8. What is BRD? How is it different from SRS? Answer: A Business Requirements Document (BRD) is a formal contract between the customer and the organization for a product. The Business Analyst creates it after their direct interaction with the clients The System Architect creates it as it needs technical expertise. Though sometimes Bas too can create it. 9. What is Gap Analysis? Answer: Gap Analysis is a technique to analyze the gap between the existing system and functionalities, and the targeted system. Here gap means the amount of task or change that may be required to get the intended result. It’s a performance level comparison between the present and the proposed functionalities. 10. What is requirement prioritization? What are the different techniques used for it? Answer: Requirements prioritization is the process to allocate requirements based on the business urgency to different phases, schedule, cost, etc. 11. What is the requirement elicitation technique? Answer: Requirement elicitation is the process of requirement gathering from stakeholders, users, and customers by conducting meetings, questionnaires, interviews, brainstorming prototyping, sessions, etc. 12. What is the fundamental difference between a requirement and need in a business analysis perspective? Answer: Needs are high-level definitions of the future goals of a business. Whereas, Requirements are the representation of the detailed description of that business needs. 13. What are non-functional requirements and how do you capture them? Answer: Non-functional requirements represent the performance level characteristics like how fast it can respond, how smooth is a user interface, security, etc. of the application under development (AUD). No functional requirements are captured in the SRS document in its designated section. 14. What are the skills that a business analyst must possess? 15. How will you define a good quality requirement as a business analyst? Aspired to start or advance your career in Business Analysis? Choosing one of these Best Business Analysis Certifications will help you stand out! 16. Which documents are used to capture non-functional requirements? 17. What is alternate flow in use case diagram? Answer: It is an alternative solution or activity in a use case that should be followed in case of any failure in the system. Answer: Personas represents User-Centered Design methodologies. To enable an application capable of performing on a demographic basis, fictional characters are conceptualized by the business analysts and based on their possible demographic specific behavior scenarios are created during design. 19. What is an activity diagram and what are the important elements of it? Answer: An activity diagram is a visual representation of the workflow of a business use case. This diagram shows various activities that take place in an organization in different departments like HR, Sales, Accounts, etc. The activity diagram highlights the differences in the departments. 20. What is UML modelling? Answer: UML stands for Unified Modelling Language. It is a standard that the industry uses for documenting, constructing and visualizing various components of a system. This modelling standard is primarily used for software development. However, it is also used for describing job roles, organizational functions, and business processes. Some of the important diagrams that BAs use as part of UML are the class diagram, state diagrams and use cases. Must Read: Why is the Certification Required to Grow in the Field of Business Analysis? 21. What are the best practices to follow while writing a use case? To become a valid use case, the use case must provide some value back to the actor or stakeholder. The functional and non-functional requirements must be captured appropriately in the use case. The use case must have one or more alternate flow along with the main flow. The use case should only describe what the system does and not how it is done which means it will not describe the design. It will act as a black box from the viewpoint of an actor. The use case should not have any, i.e. it should be stand alone. 22. What is the difference between exception flow and alternate flow? Answer: Alternate flow are the alternative actions that can be performed apart for the main flow and can be considered as an optional flow. 23. Do you think a business analyst should be involved in testing? Answer: Yes. Because a business analyst understands the overall system requirements and challenges associated with it very well. Hence, he can be instrumental during the testing phase to run it appropriately and resolve any system related query. 24. What does INVEST stand for? It can assist project managers and technical team to deliver quality products/services. 25. What is Pareto Analysis? Answer: Pareto Analysis which is also known as 80/20 rule is a decision-making technique. It is a useful technique for defect resolution and quality control. As per this analysis rule, 20 % causes create 80 % effects in a system, which is why it is named as 80/20 rule. 26. What is BPMN and what are its basic elements? Answer: BPMN is the Business Process Model and Notation. It is a graphical representation of business processes. 27. What is Kano analysis? Answer: Kano Analysis is used to analyze a system regarding its requirements to identify its impact on customers’ satisfaction. 28. What are the different types of actors you know in use case diagram? 29. What are the different types of the gap that a business analyst can encounter during gap analysis? Profit Gap – The variance between a targeted and actual profit of the company. Answer: Benchmarking is about measuring the performance of an organization to compete in the industry. In this process, a company may measure its policies, performance, rules and other measures. 31. How do you decide that as a business analyst you have gathered all the requirements? It is validated and approved by the business users. The requirements are appropriately aligned with the project’s business requirements. The requirements can be implemented with the available resources. All the key business stakeholders are aligned with the elicited requirements. 32. How do you perform requirement gathering? Step 1: Gather Background Information – This may include collecting background information about the project, analyzing any potential risk associated with the project. Techniques like PESTLE analysis, Porter’s Five forces framework could be used for this purpose. Step 2: Identify Stakeholders – They are the decision makers of a project and approver for requirements and priorities. Stakeholders may range from project owners to senior managers, end users, and even competitors. Step 3: Discover Business Objectives – This is to understand the business needs of the project before going deep into the project. SWOT analysis, Benchmarking, analyzing business objectives SMART and listing business objectives are some of the techniques used for this purpose. Step 4: Evaluate Options – This is to identify the options to achieve business objectives. Impact analysis, Risk analysis, Cost-benefit analysis are some of the methods which are used for this purpose. Step 5: Scope Definition – A scope is a project development goal which is set based on the business objectives. A scope definition document is used to detail the goals for each phase of a project. Step 6: Business Analyst Delivery Plan – Based on the project scope, stakeholders availability and project methodology a document called business analyst is created at this step. The document provides information on deliverables with their timeline. Step 7: Define Project Requirements – In this step, two types of documents are used – Functional requirement document and Non-functional requirement document. Based on the development methodology to be used in the project the business analyst needs to clarify the requirements with the stakeholders by interviewing them on the requirements and get the sign off on the same. Step 8: Support Implementation through SDLC – This is the technical implementation step of the requirements where a business analyst gets involved with different teams. This includes coordinating with the development team and testing team to ensure requirements are implemented as expected and appropriately tested against all the possible business scenarios. They also need to handle the change request which may arise from the stakeholders at the later point of time. Step 9: Evaluate Value Added By Project – This is the continuous evaluation of the project to evaluate whether the business objectives implementation correctly meets the business needs outcome and timeline. 33. Why it is necessary for a business analyst to get involved during the implementation of requirements? Answer: Gaining domain knowledge and providing an analytical solution are the two major criteria of a business analyst. Hence, during actual implementation of a requirement or use case a business analyst can help to resolve many business strategies related problems that may arise during the implementation stage. On the contrary, they can learn from the problems which may help them to provide the solution in similar scenarios and also help to gain their domain knowledge. 34. What are the problems that a business analyst may face? 35. Explain requirement elicitation strategy? 36. What is Business Model Analysis? Answer: Business Model Analysis is a technique to analyze whether a business is viable and valuable regarding social, economic and other perspectives. The business model analysis provides the foundation for any required business model change and innovation for an organization. 37. Do you think the role of a Business Analyst is a need for a project? During the project kick-off session, there are high possibilities that some technical queries come up from stakeholder and clients. As we don’t involve the technical project team during this phase and immediate answering is essential, a business analyst may play a pivotal role to answer those queries. The next phase after the kick-off session essentially involves some gap analysis, business process analysis, documentation, SOW review, project scheduling and of course preparing requirement specification documents. During the development and testing phase, a business analyst can play a significant role to resolve any requirement related queries from the project teams. Besides that, he can validate whether the requirements are correctly implemented and tested considering different functional and non-functional scenarios. In a waterfall model, new requirement or modification of requirements can be asked from stakeholder considering changing business needs. In this case business analyst is the person who can handle this change request with proper validation and analysis. 38. What is the difference between Business analysis and Business Analytics? Answer: The key difference between Business analysis and Business analytics is the first one is more functions and process related whereas the second one is data related. 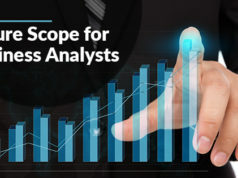 Business analysis – recognizes business needs and determine the solutions to that problems. Tools and techniques like SWOT, PESTEL, CATWOE, MOST, FIVE WHY, etc. are used for business analysis. Business analytics – handles data and analyze data to get insights into a business. Finally, it generates reports. Mainly four types of business analytics are used, and they are – descriptive analytics, decisive analytics, prescriptive analytics, and predictive analytics Tools and technologies like Big data, BI is used for this purpose. 39. What is process design? Answer: Process design is a way that helps a business to analyze the challenges in business and to find an effective solution for those. Through Process design workflows are created to get the best possible outcome in the shortest time. 40. What are the effective skills to solve any problem as a business analyst? 41. What is the Agile Manifesto? Answer: Agile Manifesto is a software guide about the Agile development principles which ensure iterative solutions. 42. What are the essential qualities of an Agile BA? The BA is expected work collaborate with product owner and developers to elicit requirements. The BA also must work to develop realistic functional requirements. The BA must make requirement specifications, data models and business rules as much lightweight as possible. The BA must be technically sound so that he can understand how the components of the system interact with each other. Besides that, he must understand the agile terminologies as he acts as the middleman between the customer and the project team. The BA must concentrate on the just-enough requirement and test criteria to meet the just in time delivery goal of an agile project. 43. When should you use Waterfall model instead of Scrum? Answer: If the requirement is simple and specific, we should go for Waterfall model instead of Scrum. 44. What are the four key phases of business development? 45. What do you know about Kanban? Answer: Kanban is a tool which helps the agile team to visually guide and manage the work as it progresses through the process. 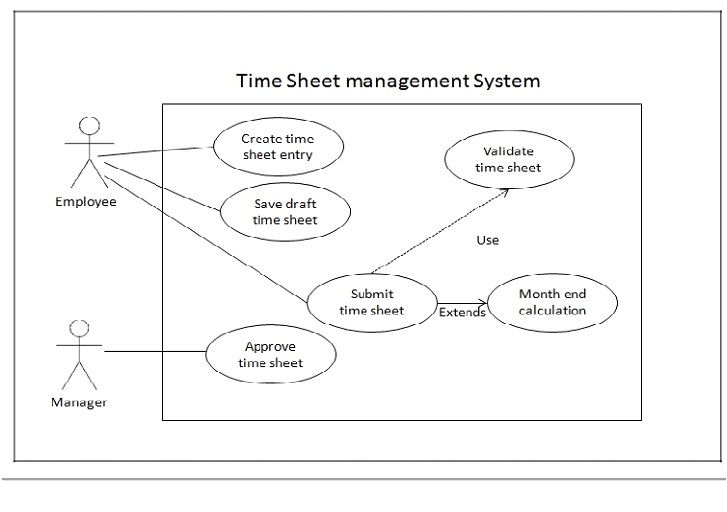 Besides, it works as a scheduling system in Agile just-in-time production. The Kanban board is used to describe the current development status. Looking for PMI Professional in Business Analysis (PMI-PBA)® Preparation Options. Here’s the best strategy to prepare for PMI-PBA? The sprint burndown matric – This helps to track the work done with the sprint. Work category allocation – This metric helps to get an idea about the priority of the work and work category allocation. The cumulative flow diagram – the uniform flow of work can be checked thought this diagram of cumulative flow. Here the x-axis represents time and the y-axis stands for the number of effort. Defect removal awareness – This helps to produce quality products. Business value delivered – This is used to estimate the work efficiency of the team. It associates 100 points for measurement. Time coverage – It estimates the amount of time invested in coding during testing. It is the ratio of the number of lines of code called by the test suite to the number of relative lines of codes. 47. Explain the term ‘increment’? Answer: Increment refers to the sum of all the product backlog items completed in a sprint. The new increment value also includes the increment of the previous sprints. 48. What are the different types of Agile methodologies? 49. Is there any difference between incremental and iterative development? 50. Difference between extreme programming and scrum? Answer: Scrum and extreme programming both follow iterations which are known as sprints. However, the sprints in a Scrum process last up to two weeks to one month long whereas in extreme programming (XP) team the iteration lasts for one or two weeks. Extreme programming is more flexible than Scrum as Scrum does not allow any change in during iterations. Though we have categorized the above business analyst interview questions based on the experience levels, however, it could be a mixed and match for any career level depending on the organization and their requirement. 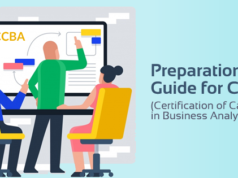 Along with the proper business analyst interview questions and answers preparation, an industry-recognized business analysis certification can make your hiring process easier. Because a certification makes your credibility beyond question. Whizlabs makes your life easy with its well-researched practice exam simulators to crack above mentioned certification exams which are considered the toughest exams among the professional certifications. Additionally, the practice tests will provide you more exposure to tricky business analyst interview questions. So, if you are an aspiring business analyst, why not try the certification path? Join us today and explore the dream career as a business analyst! 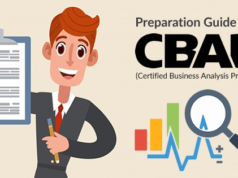 How to Prepare for CCBA Certification Exam?